Today, April 20, Ben & Jerry's is giving you a free BRRR-ito when you buy 2 BRRR-ito. BRRR-ito was invented last year, 2015, by Ben & Jerry's for a celebrations of National Weed Day to provide non-drug treat to the customers. It's a soft waffle wrapping 2 scoops of ice cream with fudge drizzles and cookie crumbs. I saw a lot of "4/20" on internet the last few days, and I saw different stories about the origin how April 20 became the cannabis celebrating day, and some are below. 1. 420 chemical compounds found in cannabis. 2. It was a secret police code to indicate marijuana. 3. In the early 1970s, weed-loving students in northern California high school would light up after class around 4:20 PM. Anyways, I just wanted to try the BRRR-ito because last year, I couldn't try it and I heard it's available for a limited time, I went to the branch in Times Square at 11:15 AM. This shop was very clean. 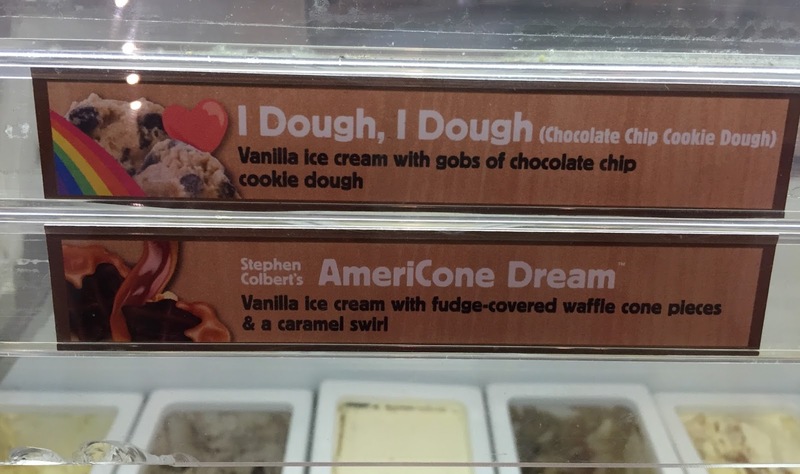 My choice of the flavors was "I Dough, I Dough" and "P.B. & Cookies." It really looked like a burrito. 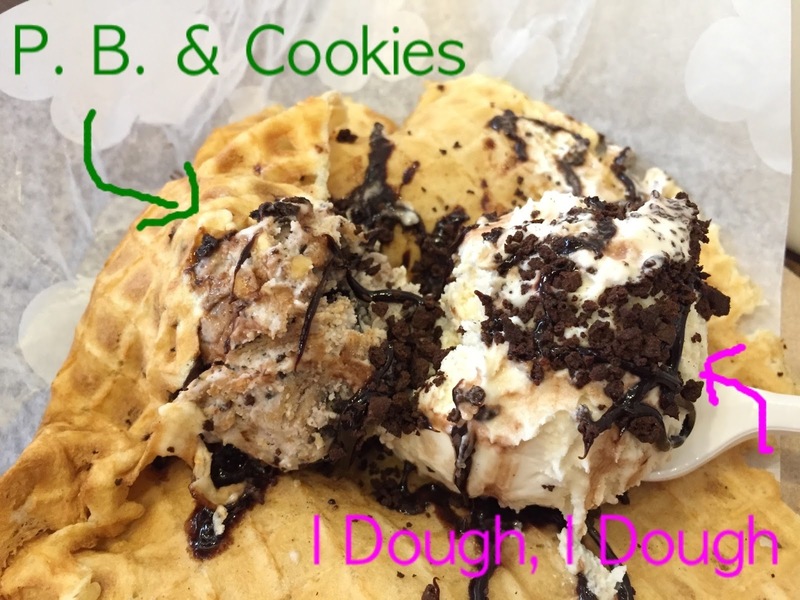 "I Dough, I Dough" on the right is vanilla ice cream with gobs of chocolate chip cookie dough. I didn't have any cookie dough and tasted only vanilla, and I guess based on how they scoop, you might not get the dough. "P.B. & Cookies" is vanilla with chocolate sandwich cookies & crunchy peanut butter swirls, and this flavor is made with almond milk and non-dairy. It had nutty and salty flavors of peanut butter and was refreshing, and the vanilla ice cream was browned as it contained enough chocolate sandwich. 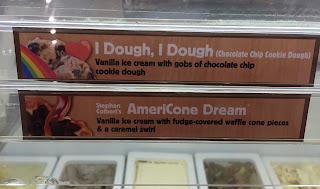 I liked this ice cream more. The soft waffle had some chewiness, and it's softly wrapping the ice cream. 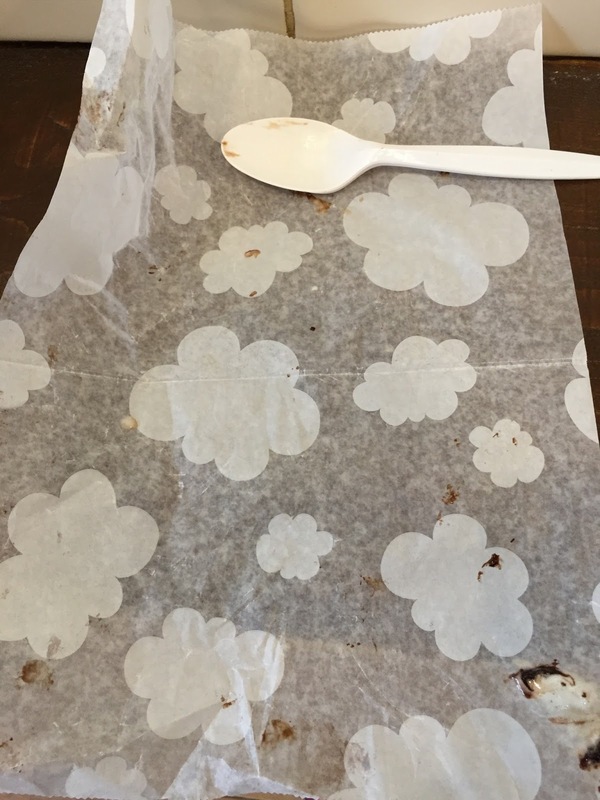 The parchment paper was cloud pattern. Other reviews of Ben & Jerry's.